What is the cheapest way to get from Oppenau to Zurich Airport (ZRH)? The cheapest way to get from Oppenau to Zurich Airport (ZRH) is to drive which costs 26€ - 40€ and takes 2h 18m. What is the fastest way to get from Oppenau to Zurich Airport (ZRH)? The quickest way to get from Oppenau to Zurich Airport (ZRH) is to drive which costs 26€ - 40€ and takes 2h 18m. Is there a direct train between Oppenau and Zurich Airport (ZRH)? No, there is no direct train from Oppenau to Zurich Airport (ZRH). 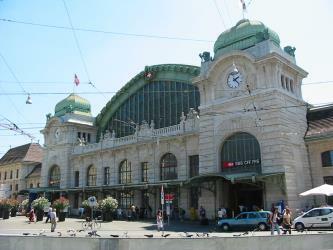 However, there are services departing from Oppenau and arriving at Zürich Flughafen via Offenburg, Basel SBB and Zürich HB. The journey, including transfers, takes approximately 3h 38m. How far is it from Oppenau to Zurich Airport (ZRH)? The distance between Oppenau and Zurich Airport (ZRH) is 118 km. The road distance is 234.8 km. How do I travel from Oppenau to Zurich Airport (ZRH) without a car? The best way to get from Oppenau to Zurich Airport (ZRH) without a car is to train via Basel which takes 3h 38m and costs 75€ - 140€. How long does it take to get from Oppenau to Zurich Airport (ZRH)? It takes approximately 3h 38m to get from Oppenau to Zurich Airport (ZRH), including transfers. Where do I catch the Oppenau to Zurich Airport (ZRH) train from? Oppenau to Zurich Airport (ZRH) train services, operated by Deutsche Bahn, depart from Offenburg station. 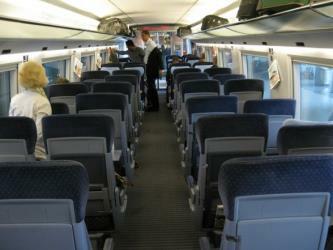 Train or bus from Oppenau to Zurich Airport (ZRH)? 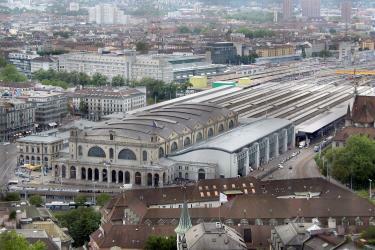 The best way to get from Oppenau to Zurich Airport (ZRH) is to train via Basel which takes 3h 38m and costs 75€ - 140€. Alternatively, you can bus, which costs 35€ - 70€ and takes 6h 38m. 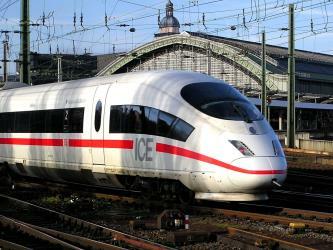 Where does the Oppenau to Zurich Airport (ZRH) train arrive? Oppenau to Zurich Airport (ZRH) train services, operated by Swiss Railways (SBB/CFF/FFS), arrive at Zürich HB station. Can I drive from Oppenau to Zurich Airport (ZRH)? Yes, the driving distance between Oppenau to Zurich Airport (ZRH) is 235 km. It takes approximately 2h 18m to drive from Oppenau to Zurich Airport (ZRH). What companies run services between Oppenau, Germany and Zurich Airport (ZRH), Switzerland? You can take a train from Oppenau to Zurich Airport (ZRH) via Offenburg, Basel SBB, and Zürich HB in around 3h 38m. Alternatively, FlixBus operates a bus from Oppenau to Zurich Airport (ZRH) 3 times a day. Tickets cost SFr 13 - SFr 22 and the journey takes 4h 20m. Discover how to get to attractions and hotels near Zürich (Kreis 11). Altstadt (German for "old town") in the Swiss city of Zürich encompasses the area of the entire historical city before 1893, before the incorporation of what are now districts 2 to 12 into the municipality, over the period 1893 to 1934. Altstadt approximately corresponds to the area enclosed by the former city ramparts, and is today within the administrative area of the city called Kreis 1 (District 1). The Fraumünster Church (lit. in English: Women's Minster, but often wrongly translated to [Our] Lady Minster) in Zurich is built on the remains of a former abbey for aristocratic women which was founded in 853 by Louis the German for his daughter Hildegard. He endowed the Benedictine convent with the lands of Zurich, Uri, and the Albis forest, and granted the convent immunity, placing it under his direct authority. Today, it belongs to the Evangelical Reformed Church of the Canton of Zürich and is one of the four main churches of Zürich, the others being the Grossmünster, Prediger and St. Peter's churches. The Grossmünster ("great minster") is a Romanesque-style Protestant church in Zurich, Switzerland. It is one of the four major churches in the city (the others being the Fraumünster, Predigerkirche and St. Peterskirche). Its congregation forms part of the Evangelical Reformed Church of the Canton of Zürich. The core of the present building near the banks of the Limmat was constructed on the site of a Carolingian church, which was, according to legend, originally commissioned by Charlemagne. Construction of the present structure commenced around 1100 and it was inaugurated around 1220. The Kunsthaus Zürich is an art museum in the Swiss city of Zürich. It houses one of the most important art collections in Switzerland, assembled over the years by the local art association called Zürcher Kunstgesellschaft. The collection spans from the Middle Ages to contemporary art, with an emphasis on Swiss art. Rome2rio makes travelling from Oppenau to Zurich Airport (ZRH) easy. Rome2rio is a door-to-door travel information and booking engine, helping you get to and from any location in the world. 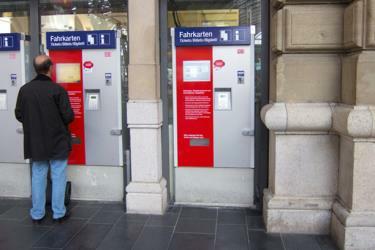 Find all the transport options for your trip from Oppenau to Zurich Airport (ZRH) right here. Rome2rio displays up to date schedules, route maps, journey times and estimated fares from relevant transport operators, ensuring you can make an informed decision about which option will suit you best. Rome2rio also offers online bookings for selected operators, making reservations easy and straightforward.